Thanks to Prometheus' close connections to an official research laboratory, its employees had access to equipment that ordinary citizens could never dream of. 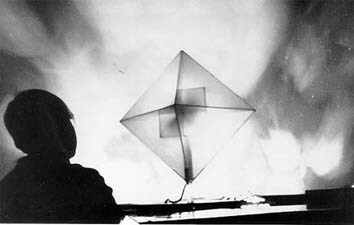 Galeyev and his team took advantage of that opportunity to build musical instruments that projected images, giving them names like Kristall and Prometei-3. 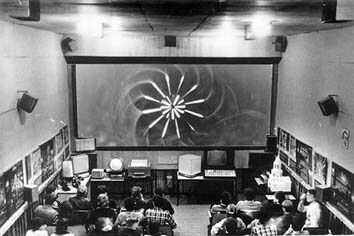 They also created some of the first works of video art in Russia. Last week, artist Sergey Teterin uploaded two of Galeyev's works to YouTube so that they could be included in the video archive of Cyland, a St. Petersburg-based new-media arts organization. Yalkin-2, a 1980 installation, consists of a glowing cube hooked up to a theremin. Space Sonata is a 1981 abstract animation set to music. These videos are just the tip of the iceberg of Galeyev's work, but now that they are online, the legacy of an incredible man has become a bit more accessible.